Keeping your island vehicle in good running condition is a must. Nobody wants to start off the weekend trying to start a cranky truck, and then — having failed that — hauling gear and a loaded cooler up to their get-away. The primary problem facing remote vehicle owners is sporadic use. Vehicles that remain in good running condition for long periods of time are either used frequently or stored with care. Here are some tips for keeping your island vehicle happy for years to come. 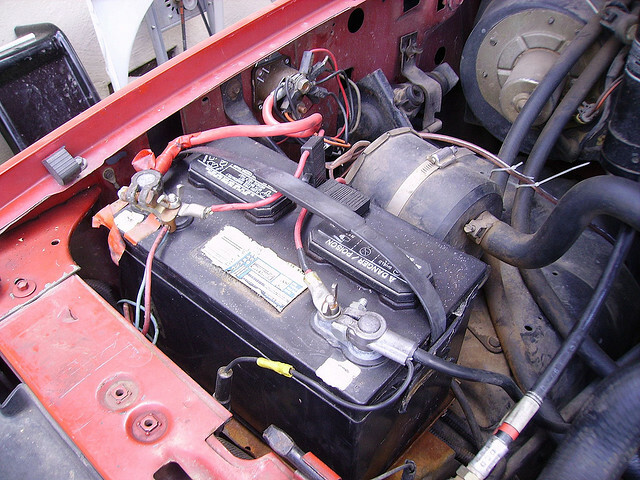 A dead battery is one of the most common problems with any vehicle that is unused for any period of time. While most newer batteries should be fine if left for a few weeks, if you want to be sure your battery is going to start, you have to take precautions, and it doesn’t hurt to include a voltage meter in your tool kit. Install a battery disconnect switch to prevent drainage over time. Use a solar trickle charger that plugs into the cigarette lighter to keep your battery fully charged at all times. Most people are surprised to learn that gasoline doesn’t last forever. In fact, it usually starts to degrade around 6-8 weeks after purchase. It will, of course, last for many months beyond that time, but it won’t be great for your engine. If you don’t run your vehicle often, it’s wise to purchase fuel in small amounts. If you plan on storing the vehicle for the winter, you should seriously consider adding a fuel stabilizer. As a rule, you should always keep your tire pressure at the recommended level; however, if you plan on storing your vehicle outdoors over the winter, it’s a good idea to over-inflate your tires by 5-8 pounds to prevent flat spots. As another rule, you should always keep your fluids topped up. This is even more crucial when storing a vehicle over any period of time, in order to prevent condensation from building up in the lines (especially since there is a good chance there will be some leakage over time).